Master of visual storytelling, Wes Anderson is an American film director and screenwriter whose films are known for his unique artistic sensibilities. The geometric concept, meticulous color schemes, quirky characters and dialogue, dead-pan comedy and camera movements are basic elements to help the audience recognize any Anderson film. There are other elements worth mentioning that bring attention to his work and leave an impressive mark on aspiring filmmakers today. Once the viewers discover most of the usuals, it’s simple to locate other small details and make connections between them. Moreover, the audience can best understand his characters and stories by being more aware of previously missed technicalities. Anderson’s stylistic choices—being both loved and hated by many—have provoked much acclaim, discussions and even parodies, and he has become the recipient of in-depth scrutiny. 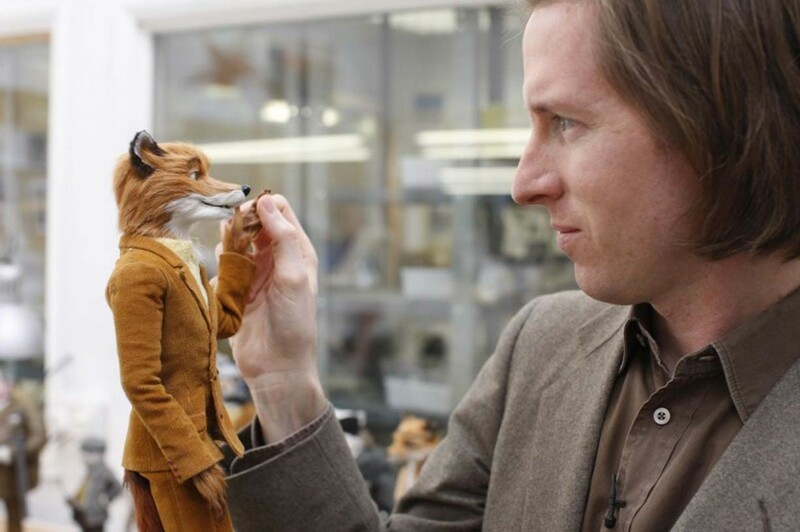 The list below presents a guide to how film fans can positively view Wes Anderson’s filmmaking, and how the auteur distinguishes himself through a number of lovable factors that contribute to making his products so recognizable. Out of the several identifiable pieces of Wes Anderson’s unique visual style, there’s one highly effective technique that is directly connected to the human mind and helps making his films extremely appealing. As opposed to more common techniques—like the rule of thirds—his use of center-balance or one-point perspective isn’t meaningless. Besides other characteristics, like the quirky dialogues, gentle pacing and specific set of actors, symmetry also plays a role in the most comic parts of his films. Film critic David Bordwell writes that symmetry can create a “static geometrical frame [that] can evoke a deadpan comic quality.” This is proven in Anderson’s work, where symmetrical goodness makes the film more interesting and, simultaneously, amusingly offbeat. The precision in which he does it—along with other set-ups involving dolly (tracking) shots running parallel to the action, slow-motion shots, bird’s eye shots (from above), and static cameras zooming in and out—is certainly one of the reasons why his style is so distinct and helps build a keen visual harmony. The video below is from British Film Institute contributor and filmmaker Konada—who worked on the visual cues of a featurette for Criterion, which appear in Anderson’s other films such as Fantastic Mr. Fox (2009)—demonstrates the immaculate composition in scenes from Anderson’s filmography by placing a centered white line atop numerous shots from earlier projects, such as Rushmore (1998) to his most recent The Grand Budapest Hotel (2014). 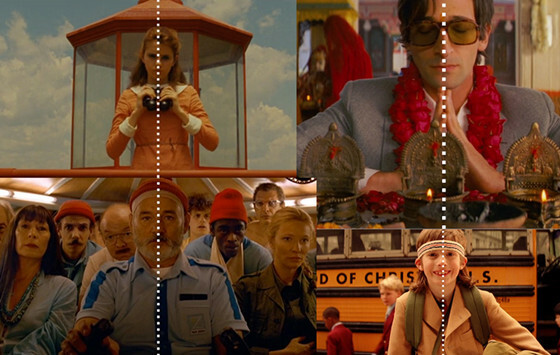 When watching a Wes Anderson film, the viewer can clearly understand why this particular director serves as an inspiration to so many designers. Specifically, it’s most noticeable how much thought he puts into the color schemes, almost branding each film simply through the use of color. 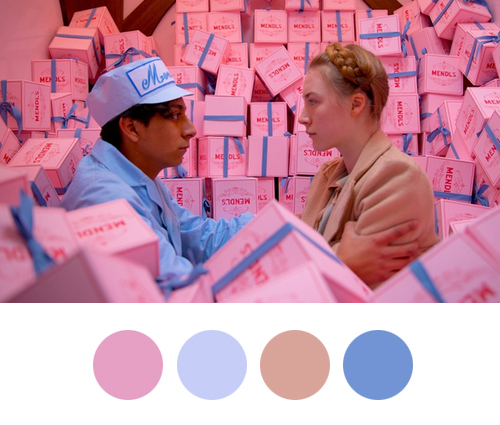 The impact of clor on his cinematography is outstanding, as one can see in films such as The Life Aquatic with Steve Zissou (2004)—which carries a marine-themed scheme filled with various shades of blue and orange—and his latest offering, The Grand Budapest Hotel, in which soft pinks and faded browns prevail. Further, there’s a washed-out, saturated effect to these colors that is clearly another part of Anderson’s influences from the ’60s and ’70s, supporting his recognizable aesthetics. Since the premiere of his latest film, the Internet has shown an even bigger interest in this detail, encouraging the creation of sites and blogs dedicated to his color palettes and visual style, such as: http://wesandersonpalettes.tumblr.com/. 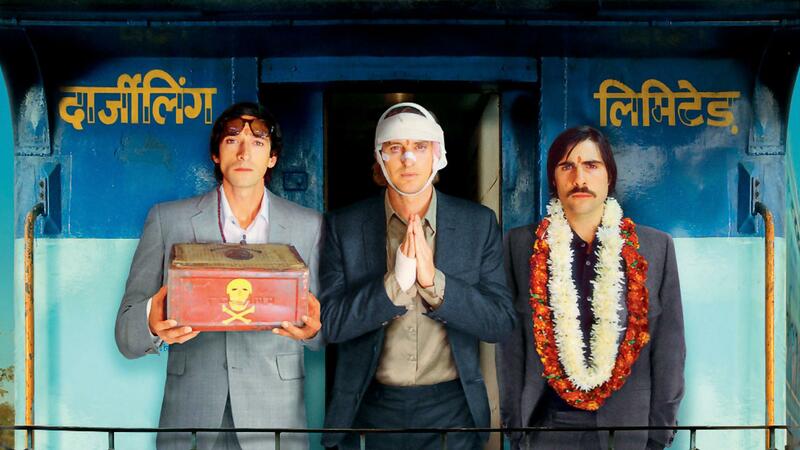 Art is elegantly portrayed in the perfectly scored scenes of Wes Anderson’s films. Over the years, Anderson has worked with the same music supervisor, Randall Poster, who helps the director choose the songs and determine the overall music direction of the films. Music is almost a character in Anderson’s films, playing a role that can completely transform a scene, giving his films a new light, or reducing the sound to a romantic and melancholic tone. Quite a few tunes are remarkable, such as Seu Jorge’s Portuguese covers of David Bowie’s songs in “The Life Aquatic,” the opera in Moonrise Kingdom (2012), and an array of rock songs from the ’60s included in various films. Poster, who is usually one of the first readers of Anderson’s screenplays, once commented that music is elementary in the process of Anderson’s creations, which makes music an essential part of the film’s development. From the start, the duo decide on what kind of music genre will predominate, or even particular songs they will use. In the following video, Anderson’s soundtracks are remixed by Eclectic Method, an audio-visual remix act, compiling a perfect depiction of the director’s dazzling music combinations. This eventually led to more films and made for a lucrative collaboration that won Anderson plenty awards. The same way they became friends, so have the other most common actors in his films, such as Owen and Luke Wilson, Jason Schwartzman, Adrien Brody, Anjelica Huston, Kumar Pallana, and Willem Dafoe. Anderson first befriended Owen Wilson at the University of Texas in Austin, where they (with Owen’s brother, Luke), made a short film, which later became the film Bottle Rocket. This relationship commenced a number of collaborations between the trio—writing included. Schwartzman joined them in Rushmore. Nonetheless, most of the great aforementioned actors are essential to his work and process of immediately distinguishing his films from everyone else’s. 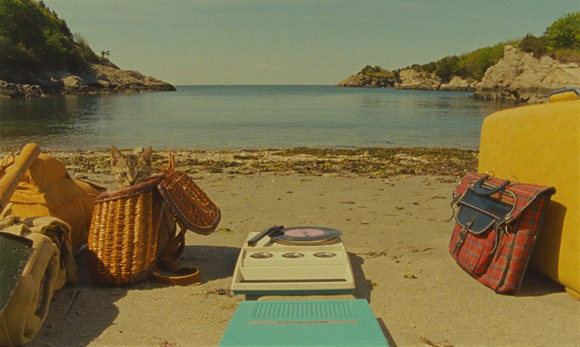 One of the most prominent elements of Wes Anderson’s screenplays is that the stories typically revolve around a family. It is uncertain whether or not there is Anderson’s sentimental value behind these stories, or any kind of reminiscence related to his own family. There is a specific set of issues present in most families depicted in his filmography, including parental abandonment, sibling rivalry, grief and unconventional raising of children. Anderson’s films are unusually character-driven; thus, he places much emphasis on the character’s background and family. Their dysfunctional glory is one of the primary themes, making them endure difficulties and later finding some sort of reconciliation. 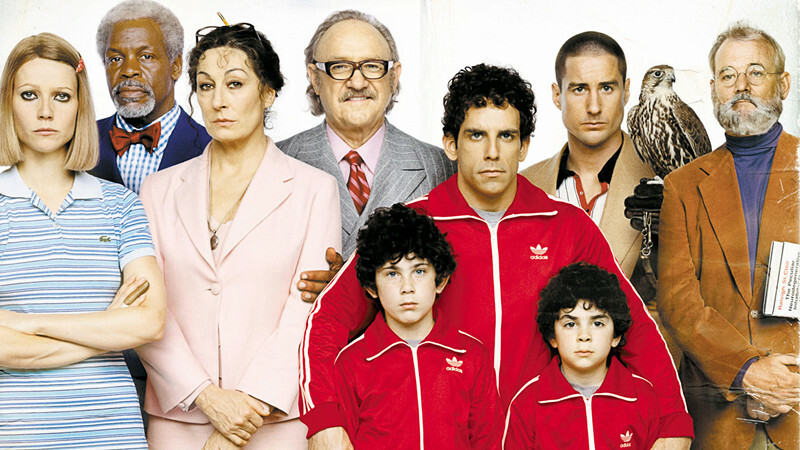 Several of the auteur’s films even make the family the main conflict of the entire film, such as The Royal Tenenbaums (2001), The Life Aquatic (2004), The Darjeeling Limited (2007), and Fantastic Mr. Fox (2009). In his other films, though, there’s always the bittersweet presence of a family matter as a background. It’s a huge part of what makes his stories so human and heartfelt, making the audience relate or empathize with it. 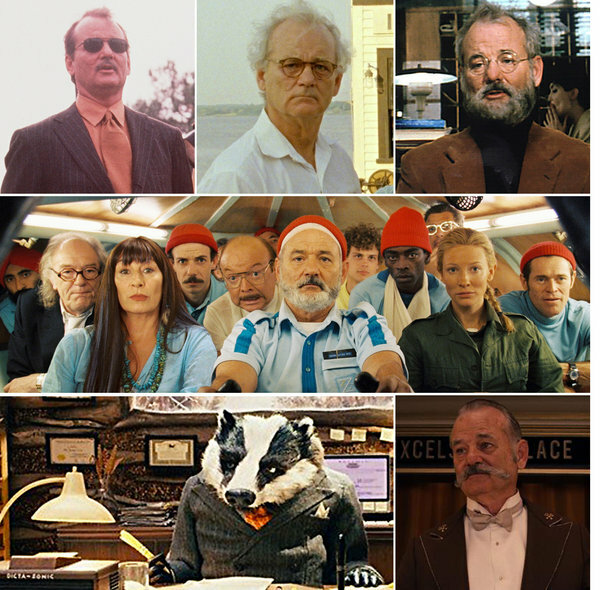 The previously mentioned recurring actors are often an inspiration to certain peculiar characters and dialogues made famous in Wes Anderson’s films. They are usually given lines that demand comedic dryness and emotional subtlety, which could very well go wrong if it wasn’t for the visual techniques that make the audience chuckle every time a character is at the center of the frame talking with no apparent sentiment at all. Anderson’s dialogue style varies from understated to matter-of-fact, delivering silly lines in an expressionless serious way and serious dialogue in an unsettling foolish way. Ridiculous situations are presented as normal occurrences, and at least one character in each film is completely obsessed with their current project, which is usually something creative. Anderson’s characters don’t usually miss an introduction, which is vital to his storytelling. Usually, there are self-absorbed characters unable to grasp any real understanding of human compassion and other lives besides their own, and the storytelling is often accompanied by a narrator’s voice. The Criterion Collection has included in their YouTube channel part of “Introducing the Tenenbaums,” which absolutely describes this topic.